With a bit of a Cast List including Michael Caine, Hulk Hogan, Ozzy Osborne and Patrick Stewart, Gnomeo and Juliet is a cute take on the classic. Have to say though, the music was a little… meh at times… :\ Sorry Elton John. 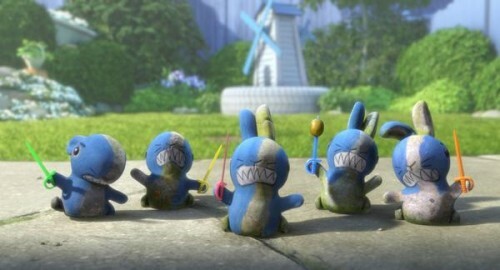 But get past the sung songs, and the story is cute and funny, and not too rough for the kids (or me when I’m tired!) And the frog is a little nuts :D As is the Flamingo. Awesome. 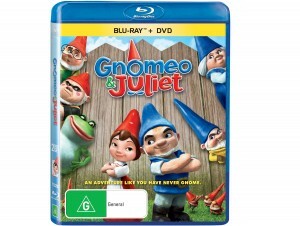 If you’d like to win a copy of Gnomeo and Juliet on DVD, just leave a comment on this post telling me your favourite Shakespeare adaptation :) One entry per person. Entries close Tuesday 17th June, 8pm. Winner will be selected by the “And the winner is..” plugin. Australian residents only. oh that’s easy. The 1960s Romeo and Juliet starring Olivia de Havilland (sp?). The music from that was far from Meh. I really want to see this version, even with the sappy EJ music. He’s become so bland in his old age it’s just pathetic. 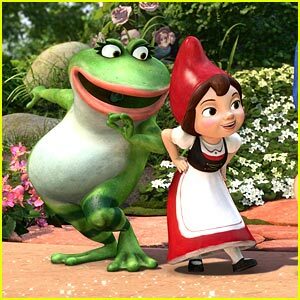 I loved Baz Luhrmann’s Romeo + Juliet, but post-kids, ‘Gnomeo and Juliet’ has surpassed this as my favourite Shakespeare adaptation. It is so nice to be able to enjoy a movie with your kids. 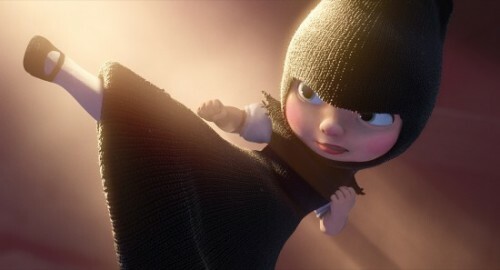 ‘Gnomeo and Juliet’ was a movie that Miss Four and I thoroughly enjoyed – each getting things out of it at different levels. And the soundtrack rocks – Elton John still has it! Favourite Shakespeare adaption? Egads, you’re trying to find flaws in my education aren’t you? My favourite non-straight Shakespeare adaption is definitely “10 Things I Hate About You”. It is very clever take on the original play, and loses some of the hideous misogyny of the Shakespearean version, without losing the humour and cleverness. And Julia Stiles! I do also love Clueless – but that is Austen not Shakespeare! I did like 10 Things i hate about you yes i said it.